Photo by Marly Jane from the Torontoist Flickr Pool. 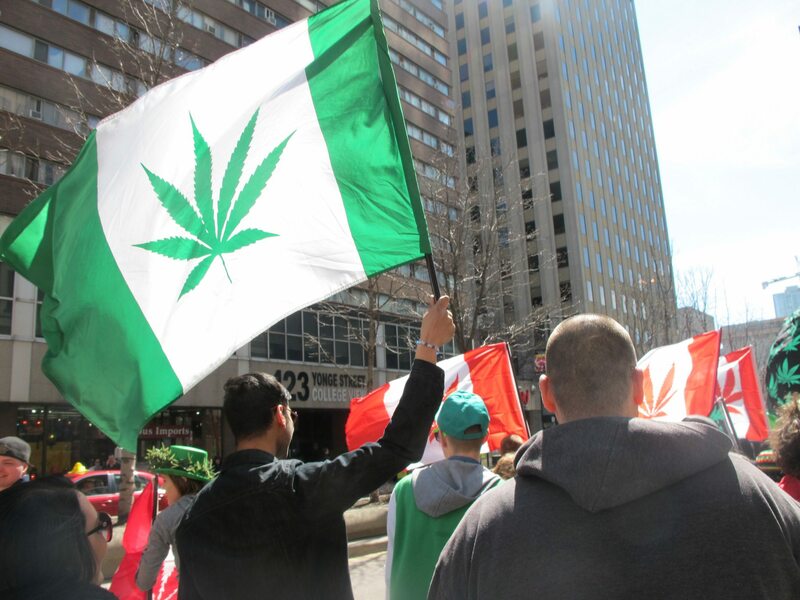 It seems that it’s only growing easier for Torontonians to get their weed fix. With anticipation for legalization of the drug high, medical marijuana dispensaries are popping up all over the city. The CBC reports that there are six in Kensington Market alone. Though Health Canada does not authorize the dispensaries, they continue to operate with little regulation. For those looking to get their prescription filled, dispensaries will refer doctors, or, in some cases, accept a pill bottle for a health issue that medical marijuana is known to be prescribed for. Managing once again to successfully ride a wave of good press, despite recent taxi protests, Uber announced the launch of its newest app, UberHop, starting tomorrow. The app will send drivers on fixed routes during weekday rush hours (7:30 to 10:00 a.m. and 4:30 to 7:30 p.m.). Commuters will have to arrive at a set location in order to join up to five other passengers in a $5 ride. The four routes will ferry passengers to and from the Financial District from Liberty Village, Fort York, CityPlace, and the Distillery District. Ahead of tomorrow’s budget launch, 50 community leaders have signed a letter advocating for a $75-million poverty plan. The letter, signed by representatives from the Toronto Board of Trade and the United Way, lists 49 recommendations. It states that while two-thirds of the recommendations could be achieved with better planning and coordination, the remaining third will require $75 million in new investment. The new spending would provide 1,500 in additional child-care subsidies, 1,000 more supportive housing units, and 7,000 new rent supplements.